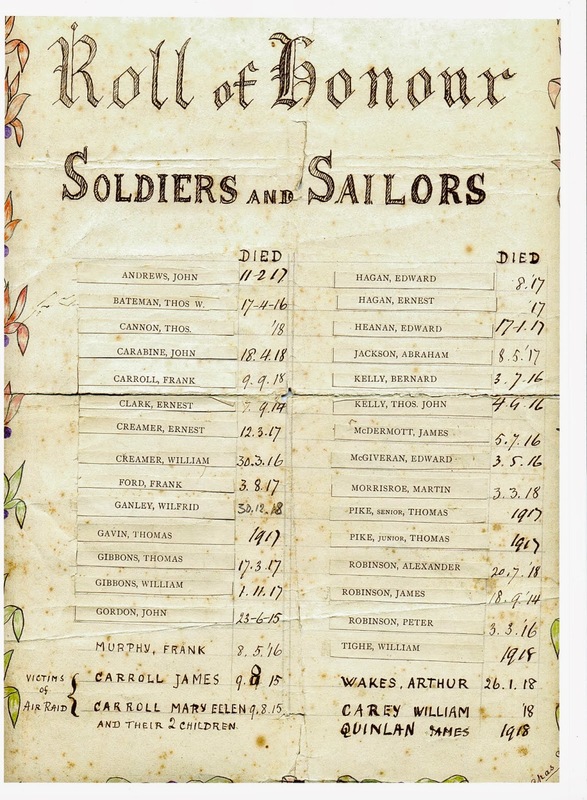 Previous blog articles has studied individual Goole Memorials but as of yet we have not provided a full outline of the total number of shrines and memorials erected in the town, and memorials which name Goole servicemen and women. In this blog post we will compile a full record of known memorials and shrines (although this keeps expanding), and provide an index of their current, if known, locations. The blog will break the memorials into an index based on location over three blog posts. Much of the information comes from extensive research of the Goole Times newspaper and also thanks to information passed on by fellow researchers. In 1914 Goole was well served by the Church with fifteen churches representing seven dominations. However, over time many of these buildings have been destroyed along with their memorials and shrines. 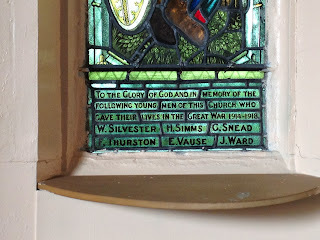 It is still possible using historical sources to put together which Churches created memorials, and fortunately Goole Parish Church has inherited memorials from a number of redundant Churches. 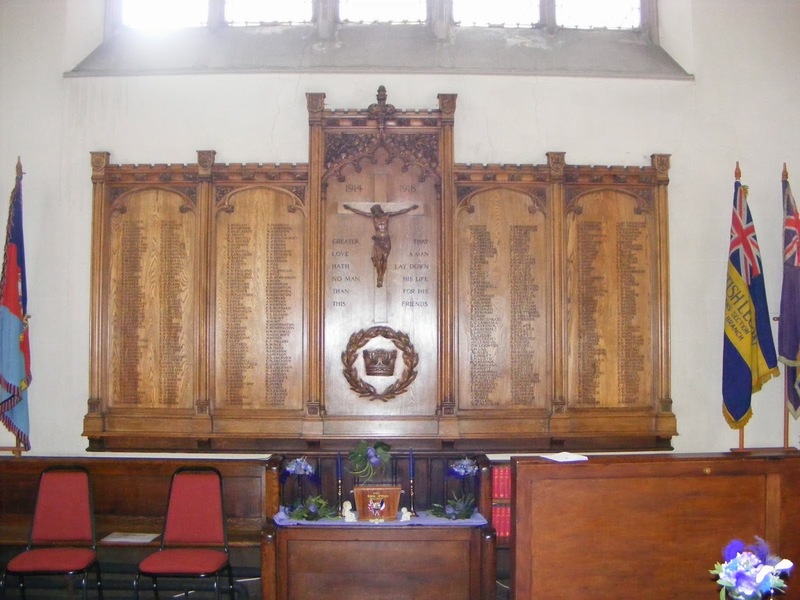 1 – The Goole Parish First World War Memorial is located in the north transept of the church. In response to delays by the Goole War Memorial Committee the Parish Council decided that it would create its own memorial. Throughout 1919 and 1920 the Parish collected names by undertaking a doorstep survey and commissioned the London firm of Messrs. Morris and Co. to construct the memorial. The memorial was dedicated in July 1921, with an overall estimated cost of £334 15s 9d. The memorial contains the names of 445 deceased men, consisting of 360 from the Army, 53 from the Merchant Marine and 32 from the Royal Navy. Lieutenant Conway-Lansdale was a member of the Lancashire Regiment and later became attached to the Royal Flying Corp, serving in 11 Squadron. Born in Goole he was the elder son of Captain E. E. Lansdale, A.S.C. of Hawthorn Villas, The Grove, Ilkley. 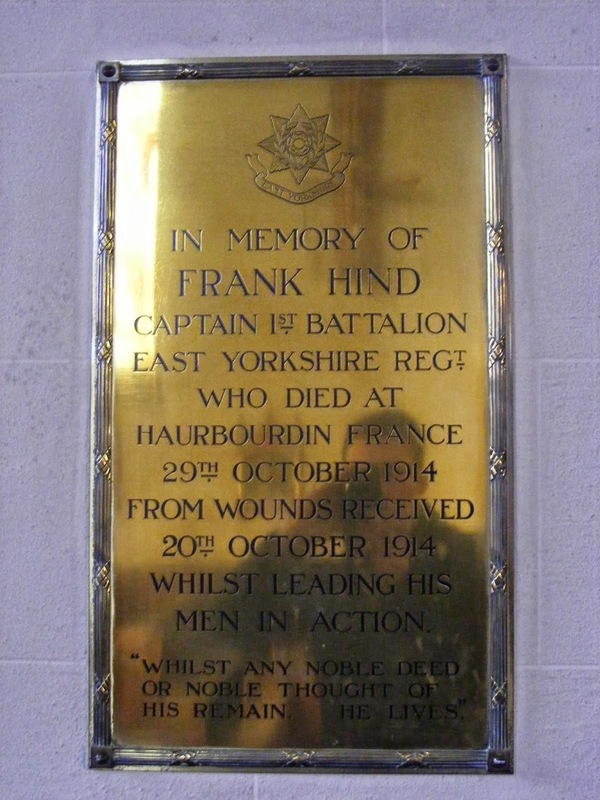 3 – In the North Transept there is a brass tablet with the inscription – “IN MEMORY OF FRANK HIND CAPTAIN 1ST BATTALION EAST YORKSHIRE REGT. WHO DIED AT HAURBOURDIN FRANCE 29TH OCTOBER 1914 FROM WOUNDS RECEIVED 20TH OCTOBER 1914 WHILE LEADING HIS MEN IN ACTION ‘WHILST ANY NOBLE DEAD OR NOBLE THOUGHT OF HIS REMAIN HE LIVES’”. 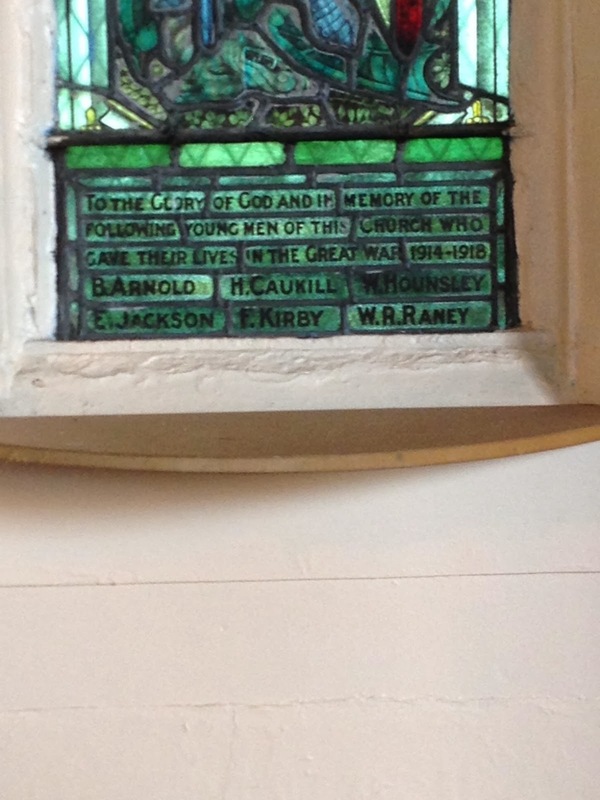 The building is also the holder of several other memorials from redundant churches in Goole. 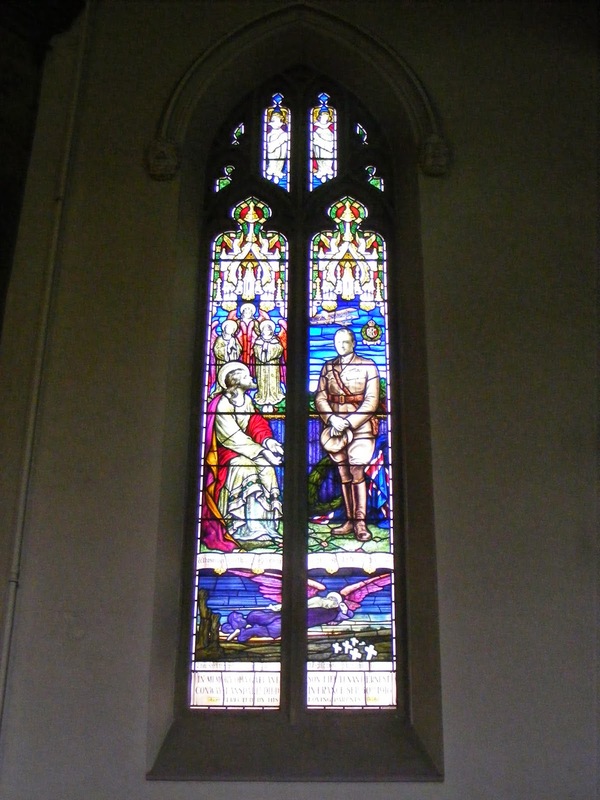 In May 1920 it was announced that two stained glass windows, the first in the church, would be installed in the south of the nave in dedication of the late Reverend and the congregation who gave their life in the war. 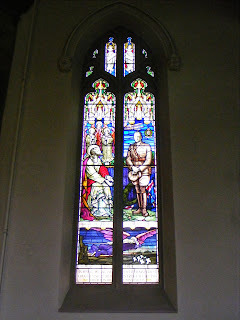 The dedication of the window was - ‘To the Glory of God and in Grateful Memory of the following men of this congregation who gave their lives in the service of their king and country” – with a list of names including Claude Gravell, Arthur Sykes, Edgar Robert, Ralph E Browne, Stanley Brunyee. 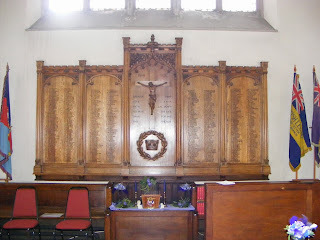 An article in the Goole Times, dated 9th February 1917, announced that a Roll of Honour was erected in the Church. It was intended to be a permanent record of the Great War, the value of which will appreciate as time goes on. In total 79 people were listed on the memorial with 4 making the ‘Great Surrender’. It is described as been a framed ‘inscribed and emblazoned’ roll. The original building was demolished in 1966 and it appears all original shrines and memorials were destroyed with the original Church. The newspaper article details all of the men on the memorial and a full list will be detailed in a separate blog article, or by request. 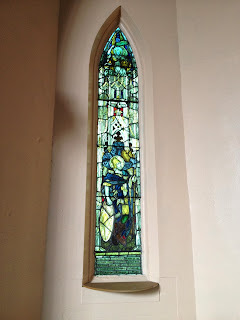 Unusually the Methodist Church contains two stained glass memorial windows in the Chancel, which has been previously discussed on the blog. The Stained Glass memorial replaced an earlier Roll of Honour erected in the church during 1917. The 1917 memorial was dedicated to all those serving from the Church in the armed forces but has since been lost. The memorial, made by a Mr H E Chambers, is described as ‘handsomely designed’ and ‘well executed Roll of Honour’, consisting of a handsome oak frame, with rich gold beading. Only those connected with the church immediately before the war were included on the roll. 46 members of the church were listed and of those six were marked with a long gilt cross to mark the giving of their lives. The building was demolished in the 1930s and there is no record of any memorials. “1914-1919, TO THE GLORY OF GOD AND IN TREASURED MEMERY OF THE MEN OF THIS CHURCH WHO GAVE THEIR LIVES IN THE GREAT WAR – ROYCE HALL, GEORGE W WHITING, STEPHEN ANDREWS, GEORGE W FIELDER, GEORGE ROBINSON, SIDNEY ROATES, WILFRED SMITH, CHARLES MILNERS, JOHN W COBB, ALBERT PARTINGTON, SAM WILLIAMSON, GEORGE W FIELDER, ERNEST COWLING, WILLIAM H DUCKER AND GOERGE W CARR – ‘FAITHFULL UNTO DEATH’”. The building was demolished in the 1990s and there is no record of any memorials. There are no known memorials in the former Church. There are no known memorials within the Church which was demolished in the 1960s. In October 1919 it was announced that two stained glass windows were to be installed in the chancel of the church. The cross and anchor represent the armed services and the navy. With thanks to Justin Lancaster for the pictures. Victims of the air raid – Carol, James (9.8.15); Carol, Mary Ellen (9.8.15); and their two children. The scroll is signed by Chas Ives. With thanks for Carol Howard for the picture of the Roll of Honour. Herbert Lee, J Scott, J.W. England, Arthur England, W R Barlow, S Hawksworth, G Goulders, Tom Rutter, Charles Croucher, William Edbury, Daniel Fleet, J Croucher, William Earl, Thomas Earl, Arthur Middleton, George England, F Rutter, John Wm. Markham, Wm. Grasby, John Lovell, Fred Acaster, Leo Armstrong, Willie Taylor, Thomas Taylor, Walter Hebden, Isaac Hebden, Benjamin Smithson, Chas. Smithson, Albert Hall, Chas. Burkitt, G. Burkitt, Ernest Sweeting, Wm. Sweeting, Arthur Parker, George Lovell, Stephen Lee, John George, Alfred Gillyon, Albert Gillyon, Wm Armstrong, Harold Mileham, Leonard Lovell, Milson Birkett, Walter Taylor, John _, Benjamin Miller, Thoms. Henry Cross, Albert Dickens, Herbert Raywood, Stanley Spencer, H G Perry, James Mann, G W Miller, Fred Bristow, Willie Spencer and H H Spainton. The names marked with a cross to indicate the supreme sacrifice are G Goulden, Wm, Sweeting, Albert Gillyon, Wm. Armstrong, John W Markham and Wm. Grosby. A memorial dedicated to the Mercantile for the First and Second World Wars was removed from the Church when it became redundant and relocated in the Seaman’s Association Memorial on Lock Hill. 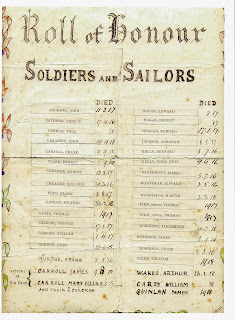 The memorial includes the following Merchant Seamen who gave their lives in the First Word War - G. Alcock, H. Bryars, L. Colbridge, J. Eldin, N. Haigh, J.H. Halsall, P. Hubbard, G. Jepson, J. Jepson, C.H. Lill, R. Linsey, J.D. Petty, T.E. Rorrison, W. Rust, W. Smart, F. Sutherby, H. Terry, M.M. Wadsworth, T. Watson, F. White and A.W. Wright. In conclusion the Church was at the forefront of commemoration in the town and the religious connotations are evident in the type of memorial and wording of the dedications. Sadly only around half of the memorials have survived but more fortunately other have been saved by other Churches and individuals, and paper records do survive in the Goole Times newspaper. Part two in the series will examine memorials erected around the town and those by public and private organisations. Hi Chris, My name is Roy Venables, Secretary of Rossington History Group. I stumbled upon your site yesterday and I congratulate you on the content. The stumble came about because I was researching 2Lt HGH Thorp 3 KOYLI. I was delighted to see the item you produced on this young man - I have his photo in front of me. 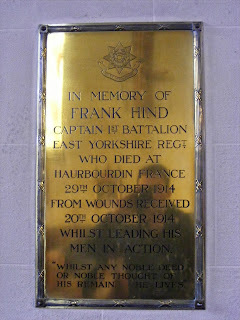 There is a nice brass plaque in St Michael`s Church Rossington, presumably installed by his grieving parents. We were wondering why he was not listed on the village war mamorial and now we know the reason. You were wondering why he does not appear on the Goole memorial. No doubt his parents worshipped at St Michaels. If I can assist you, please let me know. Our Group along with many others I suppose is having a World War 1 year in 2014.